Named after literary figure Washington Irving, New York City’s Irvington Bar & Restaurant highlights American cuisine with Mediterranean influences in a modern, open space. Renowned bar and lounge operator Gerber Group added to their restaurant portfolio in March with the opening of Irvington Bar & Restaurant at the W New York Union Square Hotel. The venue boasts a market-to-table menu and benefits from its location near Union Square Greenmarket. Chef David Nichols serves New American fare prepared with Mediterranean influences, offering small plates, flatbreads, homemade pastas and roasted meats. Signature dishes include lamb tartare, rotisserie chicken and bucatini with chopped porchetta (entrées are $16 to $35). Irvington also boasts an innovative beverage program that features retro and modern signature drinks ($15), along with several prebatched cocktails served in bottles. Standouts include The Irvington, made with Jameson Select Reserve Black Barrel whiskey, Appleton Estate V/X rum, Bittermens ’Elemakule Tiki bitters, muddled raspberries, lime juice and nutmeg, and the Sparkling Negroni, a carbonated drink that comprises Bombay Sapphire gin, Campari aperitif and Dolin Rouge vermouth. In addition, the venue offers an array of spirits ($12 to $100 a 1¾-ounce pour), craft beers ($7 to $8 a draft or bottle) and global wines ($11 to $24 a glass; $40 to $300 a 750-ml. bottle). As Sin City continues to expand its dining options outside of the famed Strip, wife-and-husband team Elizabeth Blau and Kim Canteenwalla have joined the fray, debuting the upscale Andiron Steak & Sea in March in the Summerlin district. The restaurant celebrates all things grilled, roasted, shucked and seared, offering a contemporary menu that includes king crab and Wagyu beef alongside sea urchin and bibimbap (entrées are $21 to $68). The drinks program boasts classic and contemporary cocktails ($14), from a Stoli Elit vodka–based Martini to the Midnight Rambler No. 2, a blend of Bulleit rye whiskey, Angostura bitters and maple syrup. In addition, Andiron’s lengthy wine menu offers labels from around the globe ($10 to $21 a glass; $45 to $766 a 750-ml. bottle). Boston chef Michael Serpa unveiled his first solo project in April, opening Select Oyster Bar in the city’s Back Bay neighborhood. The restaurant serves local seafood influenced by coastal regions in Europe and Northern Africa. A global wine list, Cuban-inspired cocktails and regional beers are also available. 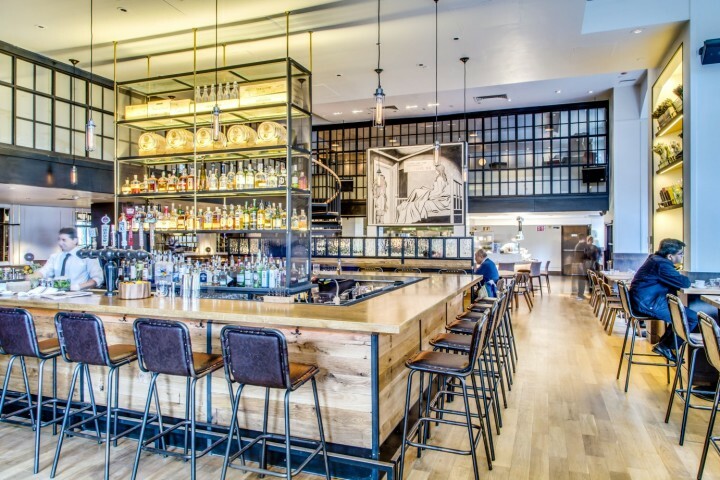 Chef Brad Miller debuted the modern American restaurant Ox & Son in Santa Monica, California, in March, offering tapas-style plates and larger entrées like chicken fried duck confit and sticky pig cheeks. The venue, managed by FNA Hospitality Group, also has a varied assortment of artisanal beer and wine. 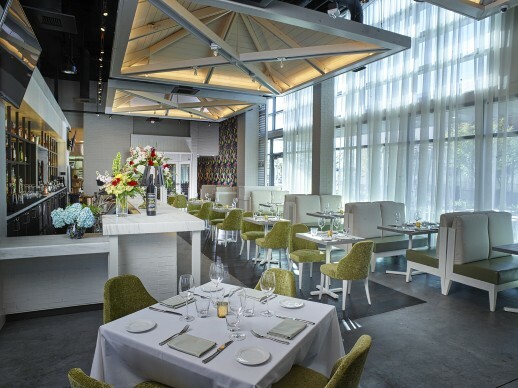 Located in the Turnberry Isle Miami resort in South Florida, Corsair is a rustic and refined restaurant that highlights American and Mediterranean farmhouse fare. Chef Scott Conant’s signature dishes include grilled octopus, short rib lasagna and house-made pastas. The venue offers an upscale drinks menu and local beers. The operators of San Francisco restaurant Verbena overhauled their venue in March and renamed it Reverb Kitchen & Bar. The eatery sources fare from Northern California and offers a variety of dishes, from charred strip steak to chicken and waffles, as well as boutique wines and craft cocktails.